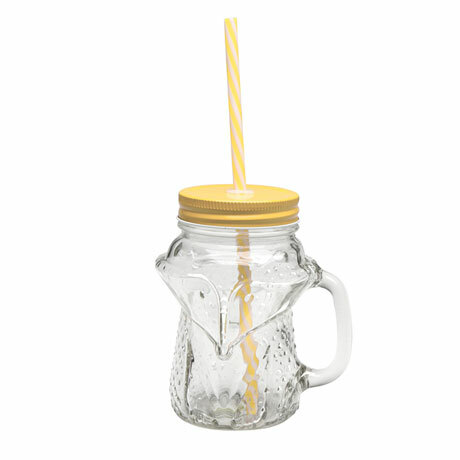 The fun way to serve lemonade, iced tea, and other refreshing beverages. 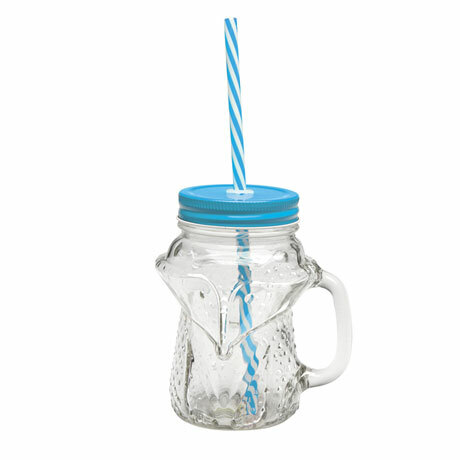 Screw top lids prevent spills while included straws promote sipping. Foxes are about 5¼" high, owls about 5". 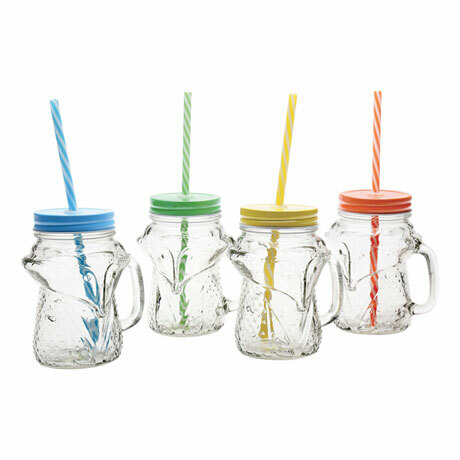 Each handled mug holds 16 oz. Dishwasher safe. Do not microwave. Sold in sets of four, with green, blue, yellow, and orange lids.